The second season of Fargo, reviewed. The second season of Fargo adds some fresh ingredients to the first season’s monotonous Minnesota menu. Kieran Culkin as Rye Gerhardt in Fargo. 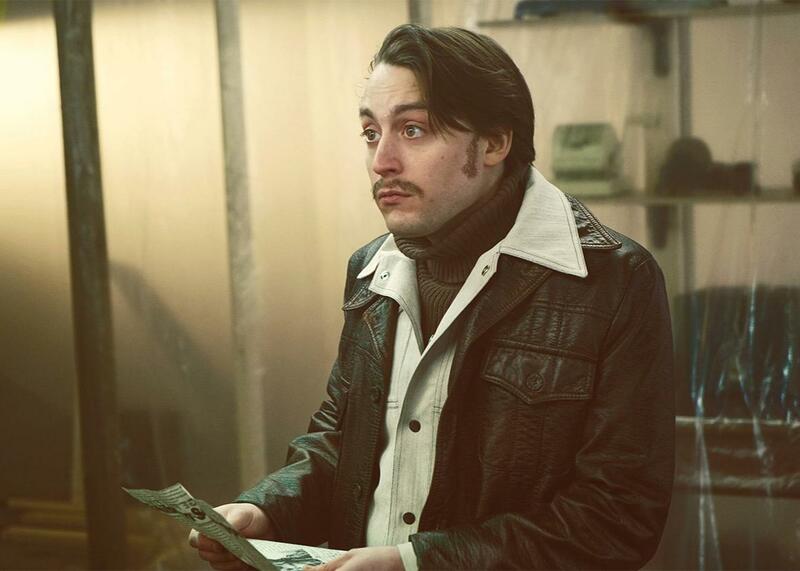 In the history of cinematic mustaches, few have been as disgusting as that of Rye Gerhardt (Kieran Culkin), the youngest scion of North Dakota’s reigning crime family and the stray spark that sets off the powder-keg second season of Fargo. Wispy, patchy, light brown, the mustache looks like two midsize cockroaches waving their antennae at one another across the expanse of pasty, bare skin beneath Rye’s nostrils. One look at this sorry excuse for facial hair and you know Rye cannot be trusted. The new season of Noah Hawley’s Fargo, beginning Monday night on FX, is full of these sorts of telling and twisted details. The first season of the anthology series was set in Minnesota in 2006; the second is set in 1979 and is related to it by a thin thread. Retired police officer Lou Solverson, played by Keith Carradine in the first season, shows up again in the second, 27 years younger, very much not retired, and played by Patrick Wilson. The show is working its way toward the “Sioux Falls incident” Carradine’s Solverson once mentioned. It’s going to be a messy trip. The story begins with Rye getting himself into a situation involving a judge and a dinner in Lucerne, Minnesota. Lou Solverson (Patrick Wilson, playing the younger version of the character previously played by Keith Carradine) is called in, running him smack into the Gerhardts, a law unto themselves in North Dakota. Patriarch Otto (Michael Hogan), matriarch Floyd (an awesome Jean Smart), growling brother Dodd (Jeffrey Donovan), and the hirsute Bear (Angus Sampson) are facing an existential threat from the Kansas City mob, who are keen to take over the Gerhardts’ territory. KC representatives Joe Bulo (Brad Garrett), Mike Milligan (Bokeem Woodbine), and a taciturn set of gun-wielding twins, the Kitchen brothers, arrive in Fargo to negotiate with the Gerhardts. In short order, all the aforementioned parties are entangled, along with Solverson’s fellow officer and father-in-law Hank (Ted Danson), mild-mannered butcher Ed Blomquist (Jesse Plemmons), and Ed’s seemingly mild-mannered wife Peggy (Kirsten Dunst). Oh, plus a host of other characters that include a conspiracy theorist played by Nick Offerman, Lou’s cancer-stricken wife Betsy (Cristin Milioti), Native American fixer Hanzee (Zahn McClarnon), and, as if that weren’t enough, Ronald Reagan and some UFOs. As this litany of characters suggests, the new season has a big, honking story to tell. The first season arrived more quietly, shrouded in skepticism. Making a TV show about the Coen brothers’ beloved film—wacky, wacked out, and full of whackings— seemed about as advisable as wandering out in one’s skivvies mid-Minnesota winter. But Hawley was confident and deft, telling a tale that felt not derivative of the film but as though they were both part of the same dream. The show slowly accreted attention and accolades, eventually winning an Emmy and widespread critical acclaim, a vote of confidence you can see in the new season’s sprawl. But I never liked the first season of Fargo very much. It was handsome, confident, dryly funny, and better than it had any right to be. It featured a wonderfully appealing performance from Allison Tolman. But I was not moved by it. The Coens’ Fargo was a grisly farce that treated violence like an unreliable alarm clock: no one—not professional hit men nor sad-sack wife killers—knew when it would go off. Trying to control it could only lead to the wood chipper or somewhere equally perverse. But on the show, in what seemed a betrayal of the darkly comic spirit of the film, violence was something real men knew, or had to learn, how to take in hand. The first season starred Billy Bob Thornton as Lorne Malvo, an uber-competent assassin, and Martin Freeman as Lester Nygaard, a schmoe who got his groove back after murdering his wife. Tolman’s Molly Solverson, a smart, humane cop, and the hero of the piece, was sidelined at the climax so her sweet, bumbling husband Gus Grimley (Colin Hanks) could become a real man by killing someone. Fargo seemed fixated on masculinity and brutality, just like every other serious and “serious” antihero drama since The Sopranos. And at this point I feel about those rich, meaty themes the way someone who’s spent hours at an all-you-can-eat steakhouse would feel about a glistening Porterhouse: It doesn’t matter how good it is, sometimes you can’t eat another bite. Happily, the new season introduces a few new, surprising dishes to the menu. It’s 1979 and the world is falling apart: There are lines at the gas station, a movie star is about to be president, and there’s a malicious energy is in the air. The story is muddier and more complex than last season’s, full of halfway nice and semi-awful people rather than the purely good and bad. Every episode starts with a ’70s jam and a jaunty split screen. The Midwestern accents are inconsistent and strange, but that only makes them funnier. 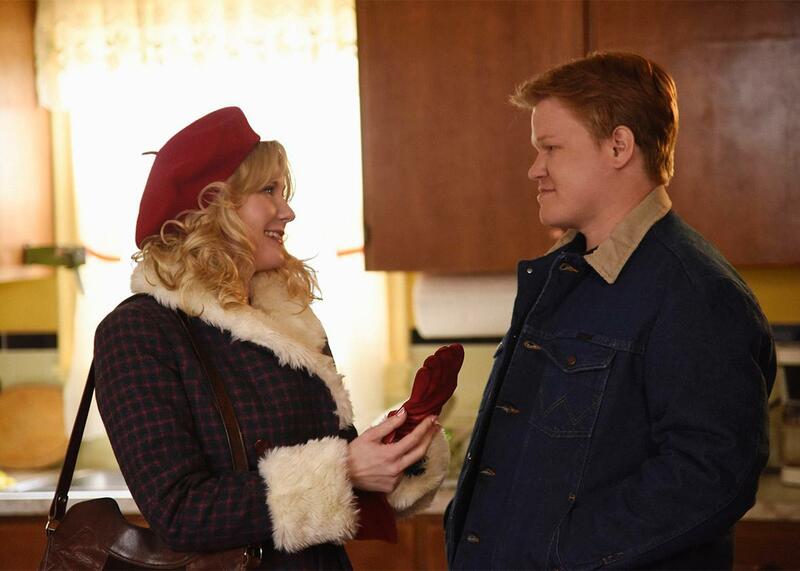 Kirsten Dunst as Peggy Blumquist and Jesse Plemons as Ed Blumquist in Fargo. Masculinity and brutality are still on hand. Fargo will always be about the skirmishes between decency and horror, Midwestern manners and human id, clean white snow and red blood. But the archetypes it plays with—the hit man, the decent cop, the trying wife, the put-upon husband—have been chopped up and reassembled as if in some grand TV-series wood chipper in Noah Hawley’s head. Hints of the sniveling, scheming husband, played by William H. Macy in the movie and then Martin Freeman, can be found in Rye, who is no one’s husband but shares with them both a haplessness and a chip on the shoulder. It’s also lurking in Peggy, a wife and beautician who has the adoration of her husband, but still thinks only of herself. There’s no one yet in this season as lethally efficient or coolly controlling as Malvo. Dodd Gerhardt is a hard, violent man, but he’s given a mitigating backstory and flashes of sweetness the inhuman Malvo never displayed. The hitters from Kansas City aren’t quite as adept or menacing, though Woodbine’s Milligan does great, poison-laced banter. Decency is not represented by women, but by Lou, recently returned from Vietnam to a world and a wife that have gotten sick. And the women are more than merely decent. Not only is there the dangerous flibbertigibbet Peggy, but Smart plays Floyd as a wise and restrained crime boss, whom men underestimate at their own risk. We know that order and Lou Solverson will ultimately prevail—or at least survive. But nothing else is clear. It’s better that way.